Known by many as a game of war and kings, the chess world is often perceived as male-dominated. Today, less than 14 percent of the members of the United States Chess Federation (USCF) are female, and only one woman ranks in the top 100 chess players in the world. However — in spite of the underrepresentation of female players within today’s competitive chess world — women have played a central role in the development of the modern chess game. 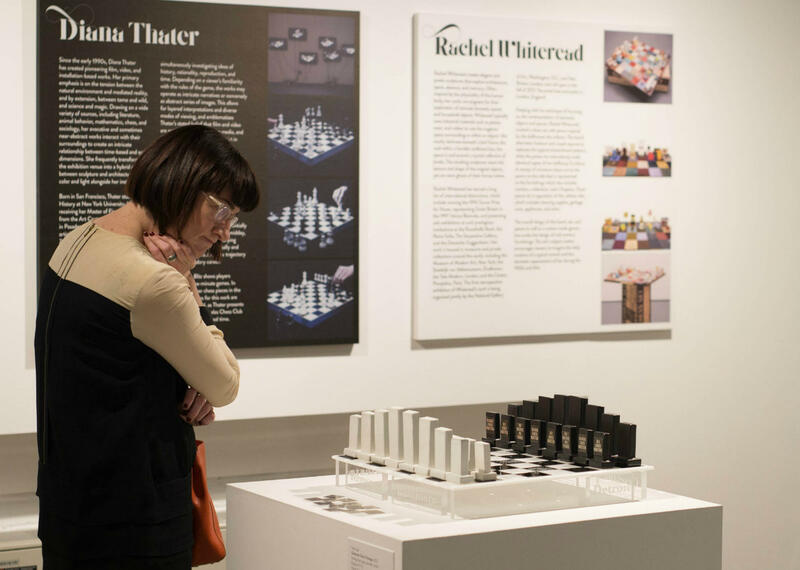 By examining how chess has inspired contemporary women artists, Ladies’ Knight: A Female Perspective on Chess, which is now on view at the World Chess Hall of Fame, provides a lens to explore the ways that women have contributed to chess in the past as well as their potential to change the game in the future. Throughout history, women played a role in the development of one of the most celebrated symbols of feminine power on the chess board: the queen. Today, the queen is the most powerful piece on the board, faster and more dangerous than any of her male counterparts. But this was not always the case. When chess was originally developed in India around 600 CE, all the pieces were male. It was not until chess spread to Europe around 1000 CE that the figure of the chess queen began to appear on the chess board. At that time, the queen was one of the weakest pieces on the board, initially only able to move one square diagonally at a time. By the end of the 15th century, the queen’s powers were transformed. In her book The Birth of the Chess Queen historian Marilyn Yalom shows how women played an integral role in the expansion of the queen’s powers. She posits that the reigns of strong female monarchs like Eleanor of Aquitaine, Catherine the Great, and Isabella of Castille led to the rise of the modern day chess queen as the most powerful piece on the board. Despite the symbolic power of the chess queen today, female chess players are often treated as less powerful than their male counterparts. That is one of the reasons that in 2007, Jennifer Shahade and I founded the nonprofit organization 9 Queens. 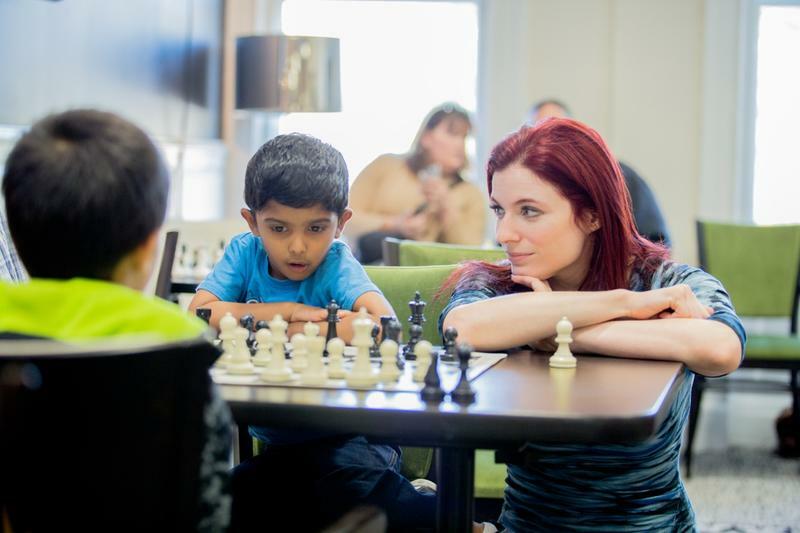 It is one of many organizations throughout the United States that has worked not only to increase the percentage of female chess players, but also to encourage women and girls to achieve academic, personal, and professional success. Much more than a game, chess is a powerful educational tool with the potential to foster both creative and critical thinking skills. Chess is both a sport and art, and the benefits of the game can be enjoyed not only by players but also by spectators, students and artists. Similarly everyone, regardless of gender or background, has the potential to experience the benefits of chess. I think of one of Barbara Kruger’s written statements in the show, “You are a piece of work,” not so much as one of fact but rather as a provocation — a provocation to challenge traditional power structures within a male-dominated world. Ladies’ Knight: A Female Perspective on Chess serves as an important reminder of the many ways women and girls can empower themselves through chess. Jean Hoffman is executive director of the United States Chess Federation. On Chess is provided by the Chess club and Scholastic Center of St. Louis. Georgia has always held a special place in the chess world. Its women have been especially strong, having once held the Women’s World Chess Champion title for just under 30 consecutive years. 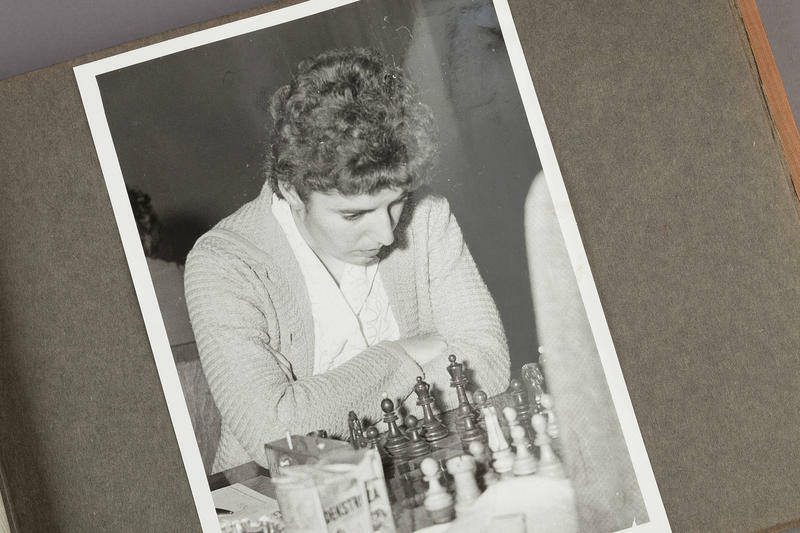 The first pioneer and a phenomenal success of women’s chess in Georgia was Nona Gaprindashvili, who in 1962 became the Women’s World Chess Champion at the age of 21. 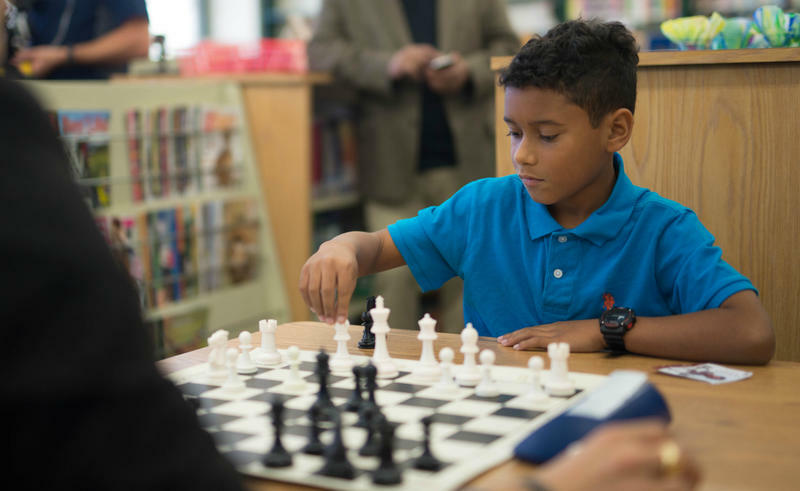 The Chess Club and Scholastic Center of Saint Louis has been running after-school scholastic chess programs in community centers and schools in the area since 2008. Last fall, 1,100 students participated in after-school programs at more than 50 schools across 14 school districts. Poker is making a play on one of our queens. I admit this may be a paranoid reaction, and I won’t apologize for defending the well-being of such an important chess piece. But I couldn’t shake this preposterous idea of Woman Grandmaster Jennifer Shahade - a two-time women’s national chess champion, the editor for Chess Life online, and an author of two chess books - referring to herself as a simple gamesplayer, instead of the pure chess celebrity she has become. This article originally appeared in the St. Louis Beacon - Lovers of chess, royalty, fashion and psychology will make a move toward the World Chess Hall of Fame beginning this weekend. 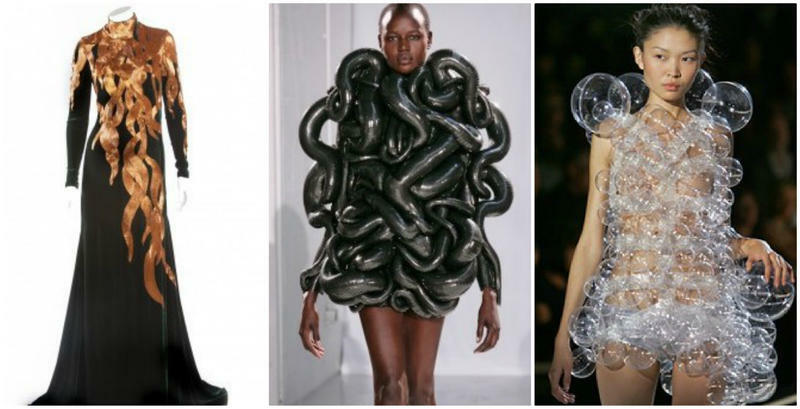 "A Queen Within: Adorned Archetypes, Fashion & Chess,” opening Saturday evening, features dozens of items related to psychologist Carl Jung’s theory of archetypes, or examples of people and their behaviors.